Frederick Barber - THE MASSACRE AT LE PARADIS - HELL IN PARADISE - MAY, 1940. 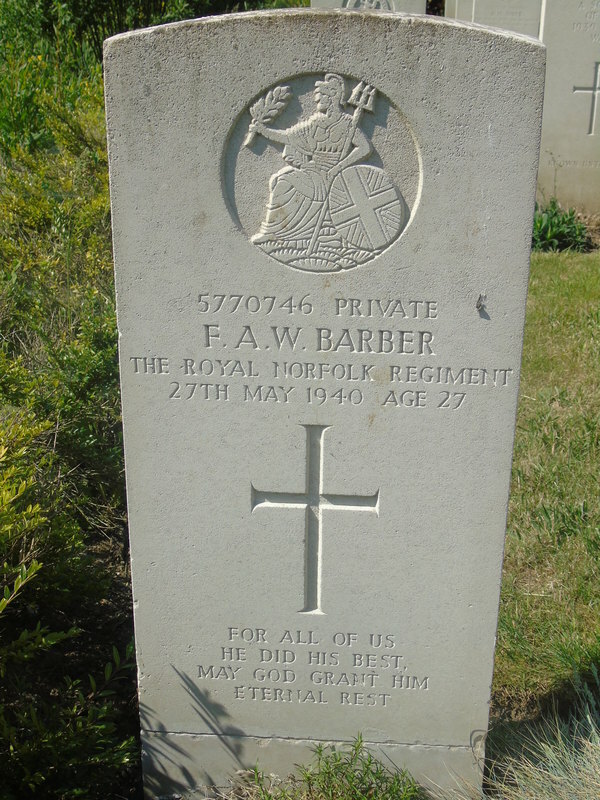 Private 5770746 Frederick Arthur Walter Barber. Died 27th May, 1940, aged 27. Son of Daniel Frederick and Florence Alice Barber, of North Earlham, Norwich. ​Inscription reads - For all of us he did his best. May God grant him eternal rest.